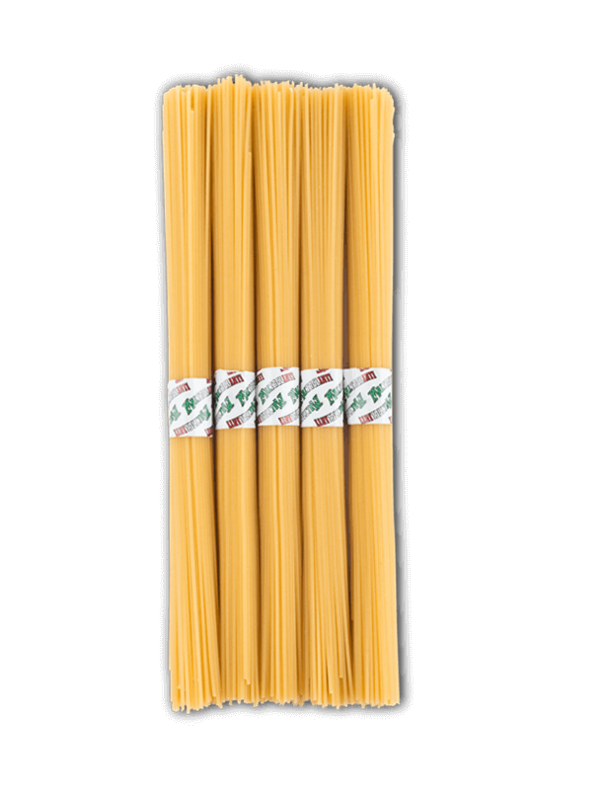 High quality pasta in practical portions of 100 gr. It is almost lunchtime, the water is boiling and the dressing is ready to be poured into a pan ... but what's missing? 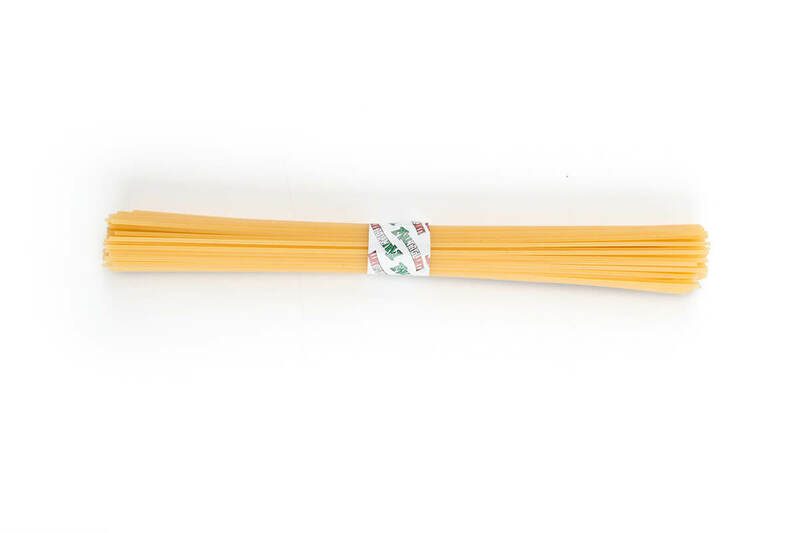 Spaghetti Maltagliati, the most beloved shape of the tradition is now available in 100-gram convenient mono portion. Just open the package, pull out 1 to 5 spaghetti straps according to the number of diners and throw them into salty boiling water. 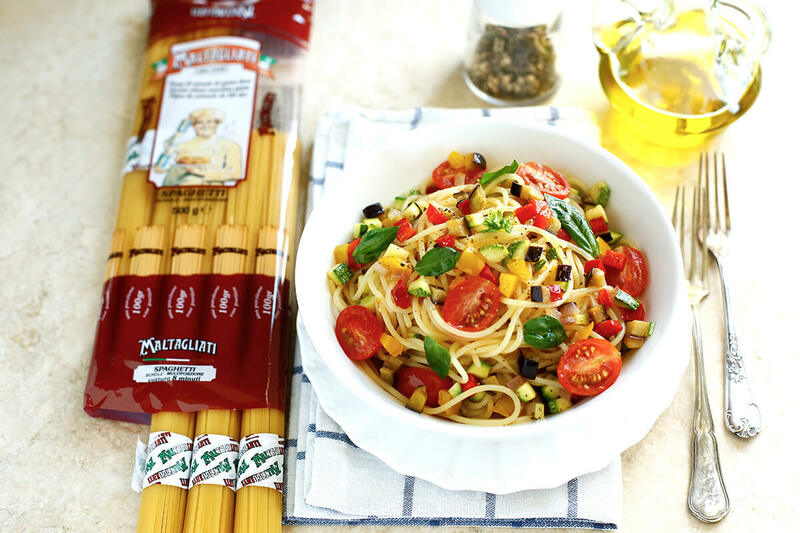 And then ... in a few minutes you will have the perfect dose of pasta! Everyone can be in a kitchen without some useful tools for cooking, including the scale: holiday homes, student apartments or just friends who do not have a good relationship with the kitchen. Situations can be multiple, without considering the occasions when cooking time is little, such as lunch breaks or in case of sudden guests. On these occasions what is easier and more appreciated than a spaghetti dish? 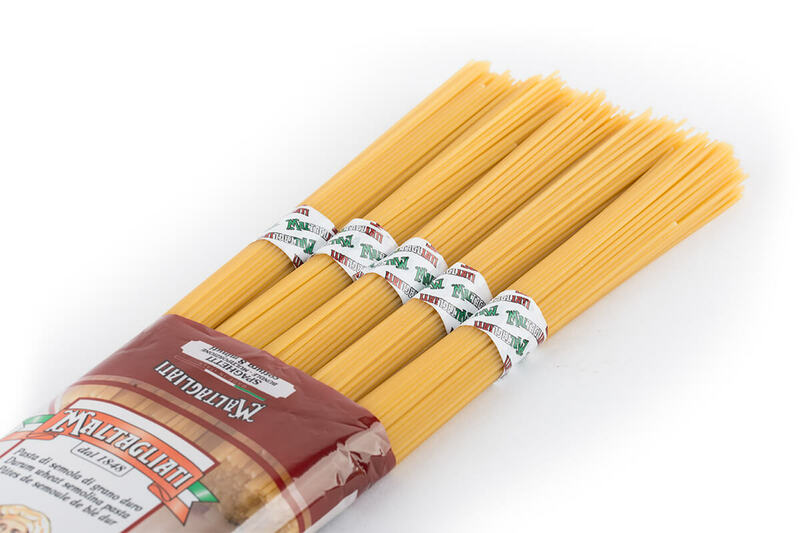 A lot of people boast of knowing how to dose them without a scale, but if we need more precision, there is nothing easier, convenient and quicker than Spaghetti Multi portion. 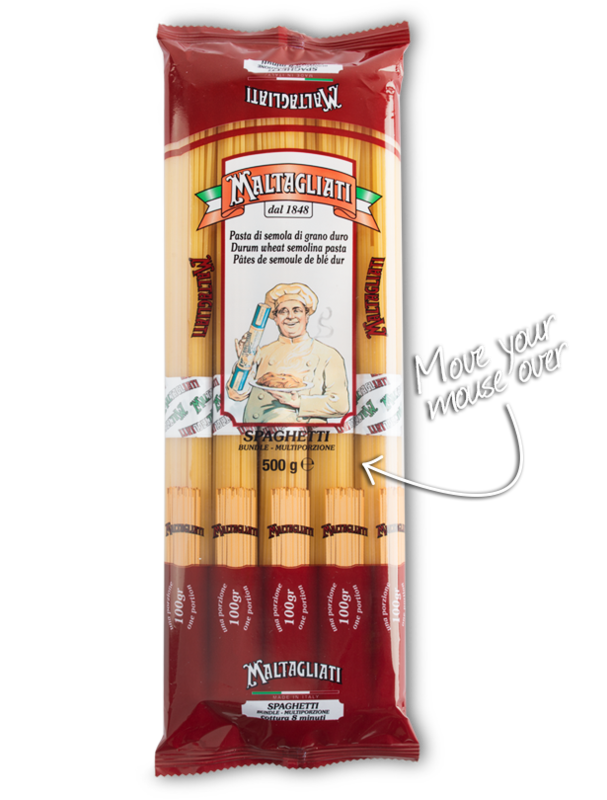 A practical pack containing 5 packs of pasta enclosed by a strap and easily removable from the pack ... ready to be thrown into boiling water! A practical packaging that contains 5 single packs of 100 gr. 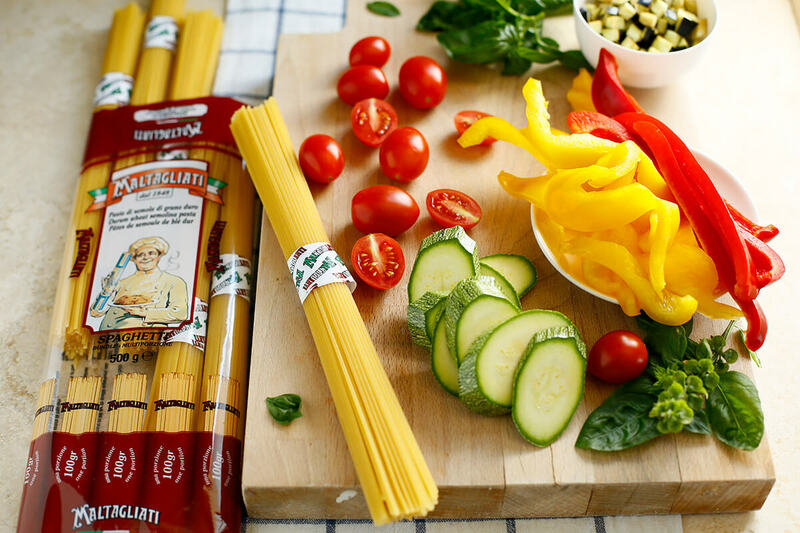 A new product on the panorama of the large distribution born with the intention of simplifying the life of the kitchen, while offering a nutrient-rich food. 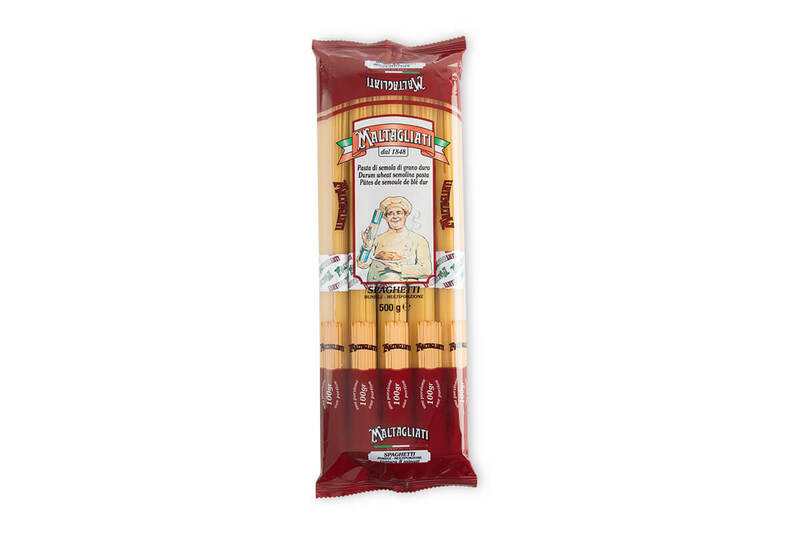 Pasta Maltagliati is made with a special blend of 100% Italian durum wheat semolina worked according to the ancient art of Pasta Masters, who handed over from 1848 the authentic and genuine flavor of pasta made according to the tradition. Wash, dry and cut the vegetables (zucchini, aubergines and peppers) into small cubes. Wash the cherry tomatoes and cut them in half. Simmer the onion and brown in some oil with chili pepper. Combine all the vegetables and brown for about 5 minutes at most. Adjust with salt, flavor with ground black pepper and turn off the fire. In a large pot boil the water, add salt and cook the spaghetti. 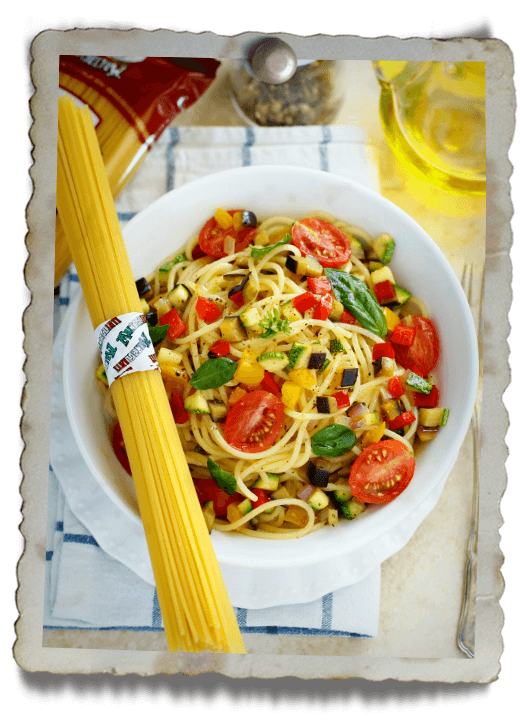 Drain the pasta "al dente" and pop in the pan with the vegetable sauce, adding a couple of tablespoons of baking water if necessary. If you like you can add grated Parmesan cheese (two tablespoons per person) and cream it. 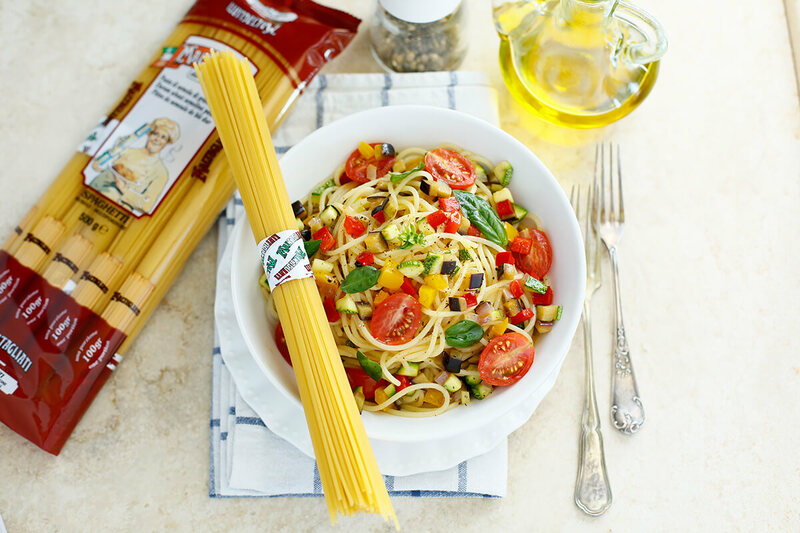 Decorate with basil leaves and serve with a sprinkle of pepper.